iPhone or iPad: Go to the APP STORE and search for "AMTE". Android: Go to GOOGLE PLAY APP STORE and search for "AMTE". Blackberry: Go to BLACKBERRY APP WORLD and search for "AMTE". 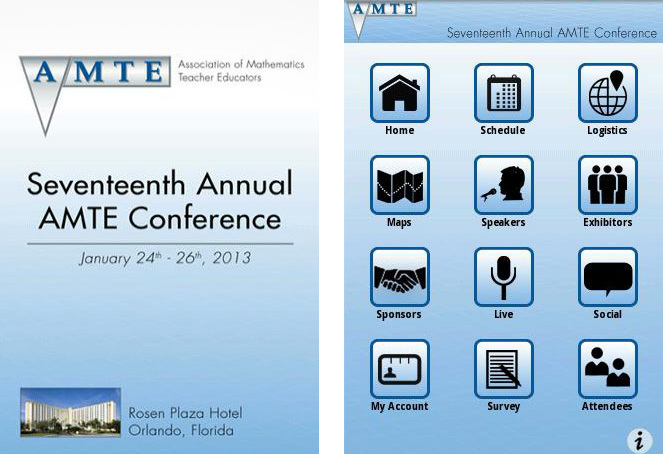 Let the AMTE App help you navigate the conference! The app icon should look like the icon above. If you have any questions, email Tim Hendrix, AMTE Website Director at hendrixt@meredith.edu or find him at the conference.